Getting kids to eat can be a tough job. Getting kids to eat healthy options full of the vitamins and proteins they need to maintain a healthy body can be mission impossible. 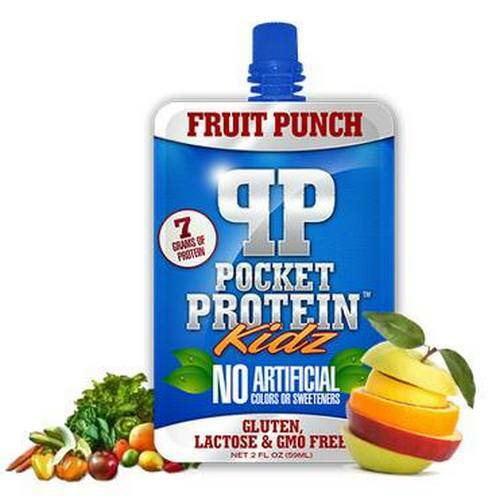 Luckily, there is a nutritional answer to the protein problem – Pocket Protein KIDZ. Finicky eaters and allergies can put up road blocks that create gaps in children’s’ diets. They may have eaten all their apple slices and french fries, but skipped the rest of the food on their plate. Their much-needed protein supply tanks and you have a problem that might change the energy levels and even behavior. A study performed by The University of Michigan Health System, and presented to American College of Cardiology, compared the weight of kids who ate school lunches and kids who brought a lunch from home. The numbers found that those who ate school-prepared lunches were more likely to be overweight or obese with stats hovering at 38.2% vs. 24.7%. The study also reported that students who ate school lunches are more likely to eat 2 or more servings of fatty meals like hot dogs and fried chicken daily with a stat of 6.2% vs. 1.6%. To be fair, not all the stats are bad. Under new standards set in place by the government, children are offered more fruits, vegetables, and whole grains along with low or non-fat dairy products. To ensure your child is getting what he or she needs, Pocket Protein KIDZ that adheres to all the same FDA oversights and regulations as milk or juice. It’s a great alternative to nitrate packed lunch meats and fill the gaps when cheeses or yogurt just isn’t an option. Pocket Protein KIDZ is 7 grams of a proprietary blend of hydrolyzed collagen protein and whey protein isolate. Made with apple juice, it has less than 4 grams of sugar and no artificial colors or sweeteners. Best part, it is fat, gluten, lactose and nut free. All the ingredients are GMO free. Even better, it doesn’t need to be refrigerated, so it can slip in backpacks for lunches, snacks, or some after-school fuel all those extra circular activities. The are small, travel well, and you can even tuck them away in your purse for quick snack during your family’s rush hour. The brand has launched a PPK crowdfunding campaign to get the word out and secure the funds for our initial run of product. The goal is to make protein as convenient as starchy, sugary carbs while improving the nutrition of children in need. Inspired by Tom’s Shoes business model, Pocket Protein KIDZ is partnering with Feeding America and will match every pre-order of Pocket Protein KIDZ via the campaign and send to a child in need of better nutrition. Our readers can save 15% while supplies last by using the promo code LAUNDRY at checkout. Just click: Buy 6 – Give 6 to go right to checkout. 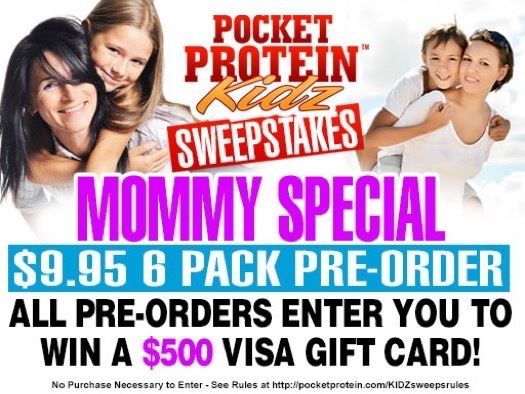 Don’t forget to keep up-to-date with Pocket Protein KIDZ on Twitter and Facebook. Although this post has been generously sponsored by Pocket Protein KIDZ, the opinions and language are my own, and in no way do they reflect KIDZ.